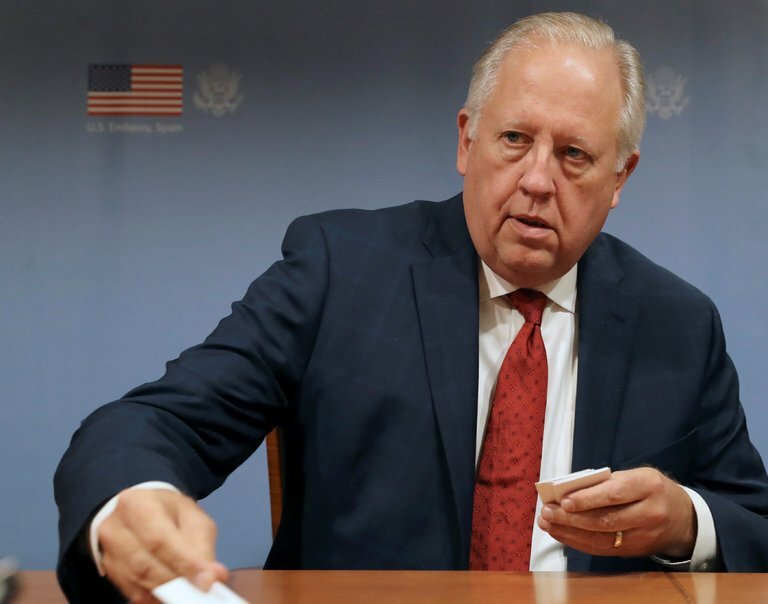 WASHINGTON — The State Department’s top career diplomat announced his resignation on Thursday, contributing to an exodus of senior diplomats during the Trump administration. Thomas A. Shannon Jr., the under secretary of state for political affairs, is the department’s third highest ranking official. He will serve until his successor is confirmed by the Senate, according to Heather Nauert, the department’s spokeswoman. Mr. Shannon served as the acting secretary of state during the first days of the Trump administration while the Senate considered the nomination of Rex W. Tillerson for the department’s top post. Most of the State Department’s top diplomats have left since the start of the Trump administration. Of the five “career ambassadors,” the department’s highest rank, who were in place in January 2017, only one, Stephen D. Mull, will remain after Mr. Shannon departs. Mr. Mull is presently on sabbatical and has been repeatedly bypassed for top jobs. Mr. Shannon not only survived but seemed to thrive. In the administration’s first months, Mr. Tillerson often decided against attending formal functions at the White House and sent Mr. Shannon to serve in his place. When President Trump met with the leaders of Japan, Britain and Canada, Mr. Shannon was by the president’s side. Mr. Shannon’s no-nonsense expertise and quiet good humor quickly endeared him to Mr. Trump’s top White House aides. But within the department, Mr. Shannon was widely rumored to be unhappy with Mr. Tillerson’s decisions to ignore many of the department’s top experts, failure to identify a cadre of senior leaders or fill vacancies in a large number of ambassadorships. Morale at the department has plunged amid severe budget cuts and a grinding reorganization. It was often Mr. Shannon who delivered the news to senior diplomats that they were being pushed out of their jobs or would not get the postings they had been promised. Mr. Goldstein said Mr. Shannon’s departure was unrelated to low morale at the State Department. Mr. Tillerson is expected to give a speech on Thursday at the University of Texas describing the administration’s policy in Latin America. The speech will preview Mr. Tillerson’s upcoming trip to South America, his first as secretary of state.